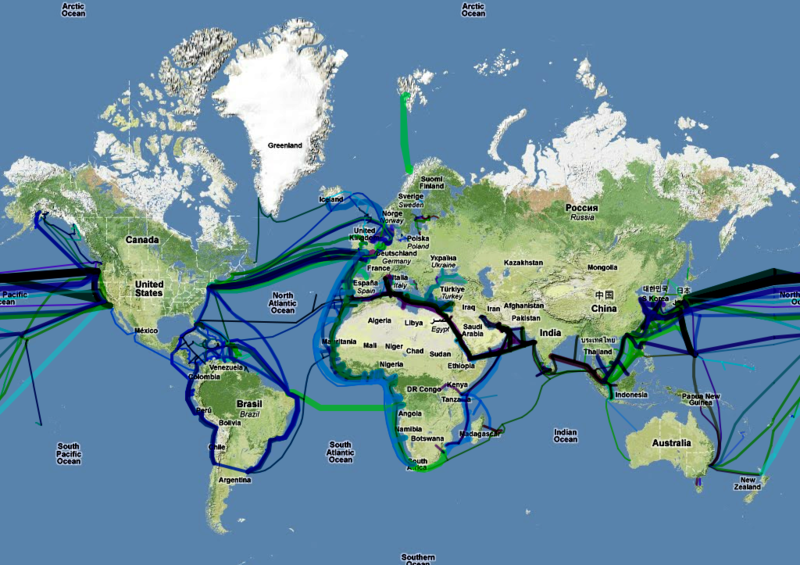 Greg's Submarine Cable Map is an attempt to consolidate all the available information about the undersea communications infrastructure. The initial data was harvested from Wikipedia, and further information was gathere by simply googling and transcribing as much data as possible into a useful format, namely a rich geocoded format. 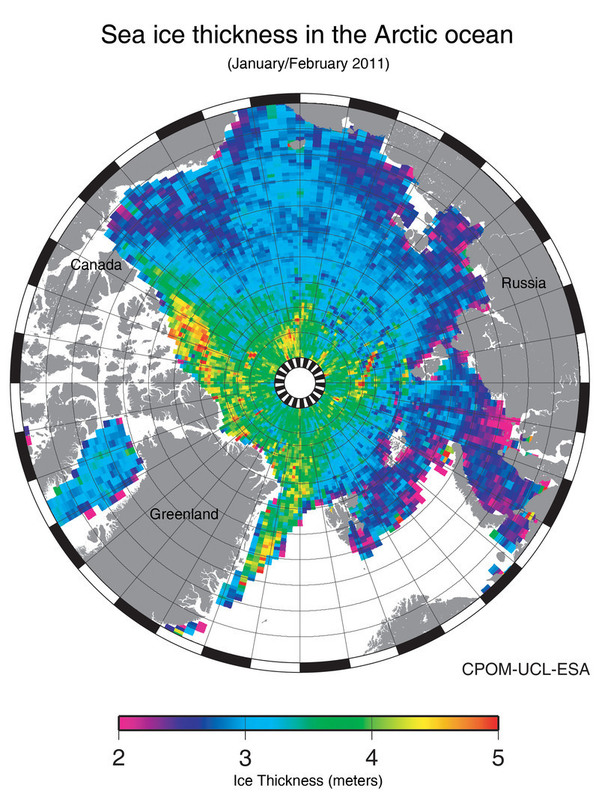 The first map of sea-ice thickness from ESA’s CryoSat mission was revealed today at the Paris Air and Space Show. This new information is set to change our understanding of the complex relationship between ice and climate. From an altitude of just over 700 km and reaching unprecedented latitudes of 88º, CryoSat has spent the last seven months delivering precise measurements to study changes in the thickness of Earth’s ice. This pseudo-map shows how people spend their discretionary income – the cash that goes to clothing, electronics, recreation, household goods, alcohol – depends a lot on where they live. People in Greece spend almost 13 times more money on clothing as they do on electronics. People living in Japan spend more on recreation than they do on clothing, electronics and household goods combined. 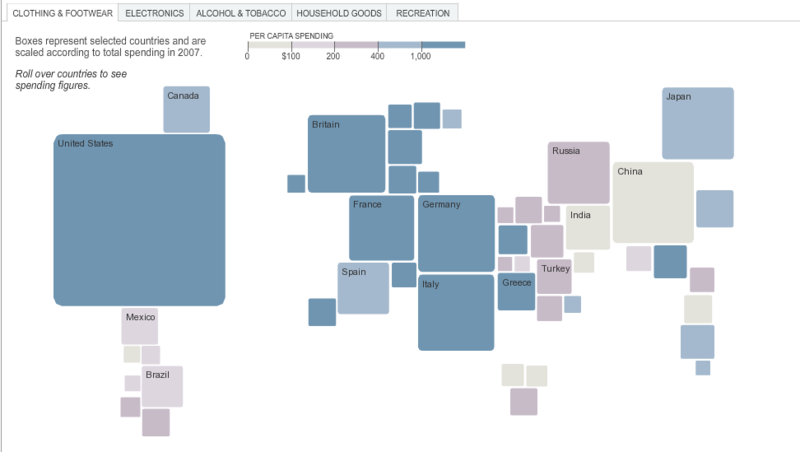 Americans spend a lot of money on everything. Astronomers at the Harvard-Smithsonian Center for Astrophysics (CfA) have created a map of the universe called the 2MASS Redshift Survey. 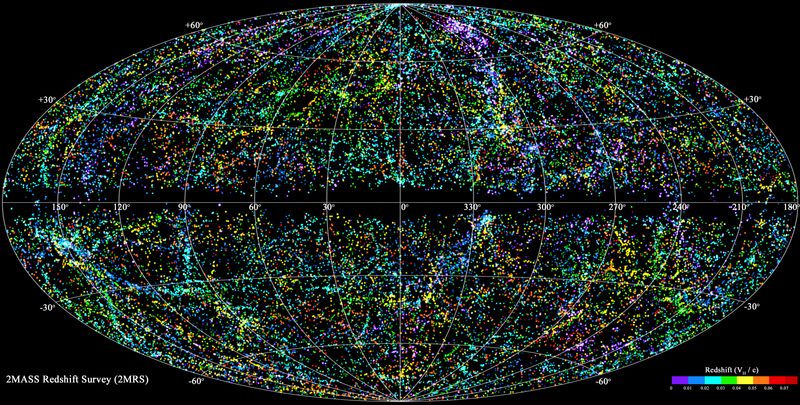 Taking more than 10 years to complete the map and it is what they call the most complete 3-D map of the local universe (more than 43,000 galaxies within 380 million light-years from Earth) ever created. 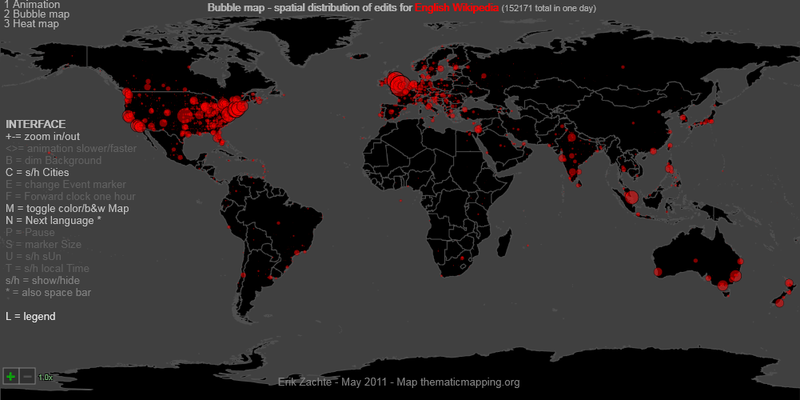 Erik Zachte compiled data from a day in May 2011 into an interesting set of animations and maps to show update activity as it occurred during the day. 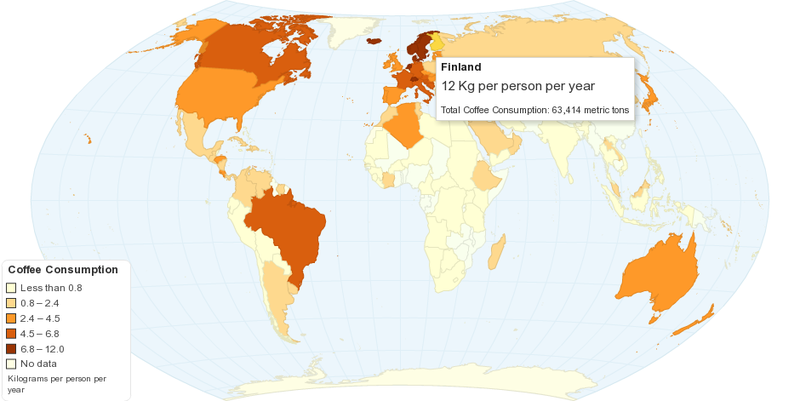 This maps shows current worldwide carbon dioxide(CO₂) emissions and per capita emissions from the consumption of energy. Data includes emissions due to the consumption of petroleum, natural gas, and coal, and also from natural gas flaring.